I can now be found over at www.realmomofsfv.com! I am in the process of moving over my bloglovin’ followers over to the new one, but if you wanna be proactive & find me by my new URL, please do!! Don’t forget to follow me on these social media channels: Instagram, Twitter & Facebook! 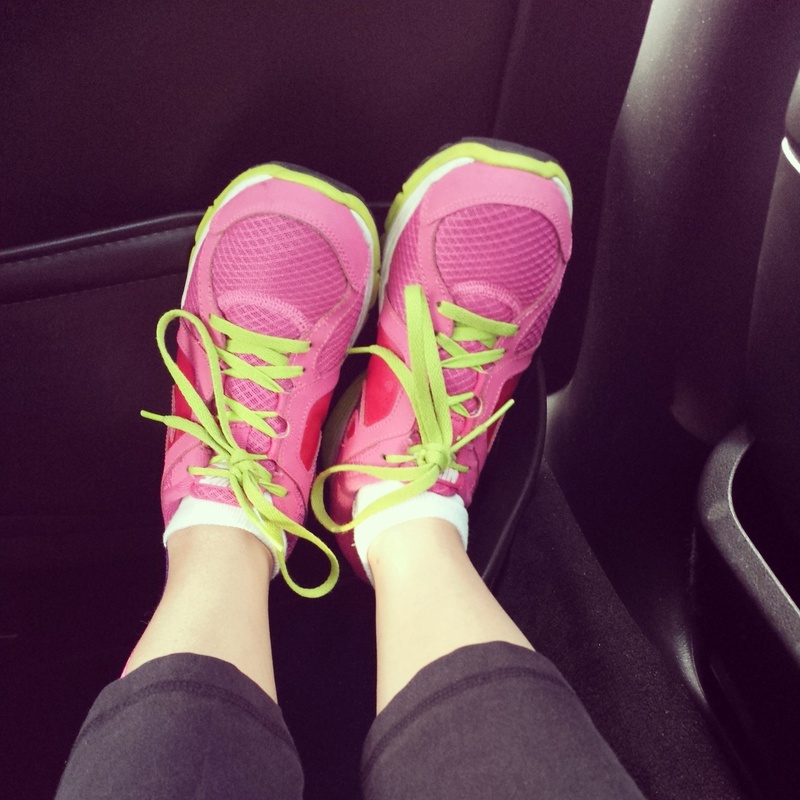 I tried out Pure Barre in Woodland Hills a couple of times earlier this month. I needed to try something that was out of my comfort zone, especially since I had been away for 2 weeks on a summer vacation. When I found out that one of the co-owner’s lives in the San Fernando Valley AND is a mom to a young daughter, I just knew that I had to interview Marni for my new series on the blog. So SFV followers, please meet Marni Rosenthal Chaikin, the latest Real Mom of the SFV! Marni: I was a professional dancer and Pilates instructor working freelance. I got to a place in my life where I wanted to build something a little more concrete and have a place to call home. I was in New York City dancing while living in LA and took a barre class and fell in love. I did some research once I got back to LA and there was very little to choose from at the time in terms of Barre classes. Coincidentally, around that time I joined a women’s entrepreneurial networking group called Ladies who Launch and, on first meeting, in walked the founder of, what was then, a small company known as Pure Barre. Carrie Dorr, our founder impressed me on so many levels. We got to know each other and before long she offered me the first license in LA (at the time it was a licensing program-we have since become a bonafide franchise). I knew Pure Barre was going to be huge. I fell in love with the high I got from running my own business and what Pure Barre itself did for me both physically and spiritually. It’s been a win win situation from the start. Marni: It’s impossible to get it all done. When you have your own business you could feasibly working from the time you wake up until the moment your head hits the pillow. Prioritize and strategize. Learn to say no. I try to make a minimum of an hour each day where I turn off my ringer, shut down my computer and focus solely on my daughter to give her quality one on one time. It means so much to her and to me. When I return to my work I am so much more refreshed and at ease knowing that we had that time together that has really mattered. Marni: The SFV is so SO community oriented. I can’t believe how at home I feel at my Woodland Hills location. People are so loving and dedicated and many clients have become like family to me and my business partner Kayla. It’s a small town feel in the middle of a big city existence and that is so refreshing in LA! Marni: I wish I knew that it was okay to delegate. When I opened my first location in early 2009 I thought I had to do everything myself. I worked 24/7 and didn’t think there was any other way to be successful. Learn what your strengths are and capitalize on those. Then surround yourself with people that excel in the areas where you might be weak and delegate delegate, delegate! I just love Marni’s advice, don’t you? 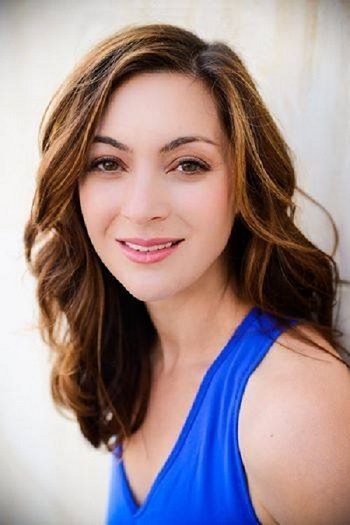 Marni not only co-owns the one in Woodland Hills, but she also co-owns the Pure Barre studios in Brentwood & Santa Monica! Have you been to a Pure Barre fitness studio? If so, what did you think & if not, what’s stopping you? Sound off in the comments section below. I’d love to hear your thoughts! Last week was the TechLA Startup Summer Jam 2014. The TechLA Conference brought together startups, entrepreneurs & investors in one place to take part in a startup competition, panel discussions & (most importantly) to network. If you missed out on that opportunity, then take note Los Angeles & San Fernando Valley folks because there is a SFV Startup Weekend taking place in a couple of weeks! During the weekend of August 1st-3rd, Gazoozle HQ (located in Burbank), will play host to the SFV Startup Weekend. From idea to business in 54 hours! I don’t have strong roots in the tech industry, but I do know what it is like to have an entrepreneurial spirit (having worked for a startup, as well as working for several female entrepreneurs when I was a VA). The first time I heard about San Fernando Valley Startup Weekend, I immediately thought of it as a cross between Shark Tank & TechCrunch Disrupt. While I don’t think it will be as wild as the way TechCrunch Disrupt was portrayed on HBO’s Silicon Valley, I do think that there is going to be a lot of value gained & lessons learned from this Startup Weekend in the SFV. Click here for more information & to buy tickets to San Fernando Valley Startup Weekend 2014. 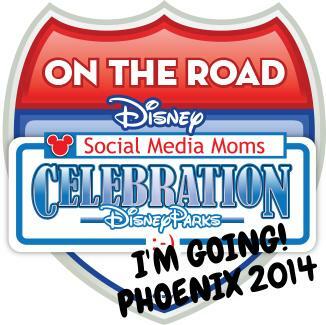 For my readers, you can use promo code SFV2014SW to get a 25% discount off the tickets. Tell me: Do you know anyone with a startup idea or who is an entrepreneur? Disclosure: No monetary compensation was received for this post. I received information about SFV Startup Weekend & although a post was not required, I wanted to share this with my readers. Photo image used with permission. My thoughts & opinions are 100% my own. There are several ride-sharing apps out there in the marketplace. You know the ones, they rhyme with “rift” & “tuber.” 😉 However what sets Opoli apart is that this app lets the customer & provider do business one-to-one in real time. Once the connection is made, then Opoli lets you do your thing! 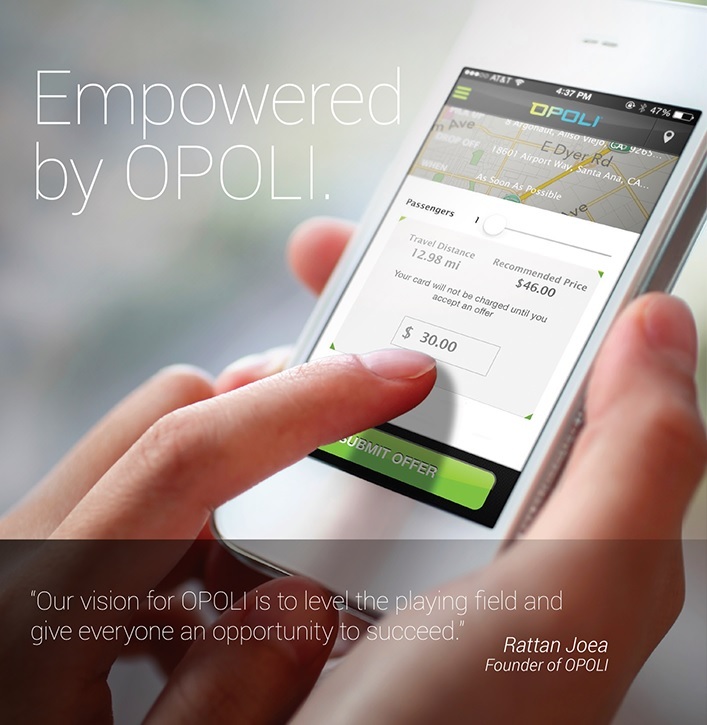 Plus, all Opoli drivers are commercially licensed AND insured professional providers. Thus making Opoli rides a safer & better alternative. I had the pleasure of using the Opoli app & scheduling a pick-up so that I could be driven to a part of LA that is known for traffic. I’m talking West Hollywood folks! Getting to WeHo from the SFV is no easy task at times. There is a fitness studio in WeHo that offers a cross between boot camp & CrossFit that I had been dying to try! So naturally I thought, if I am going to be super tired (i.e. legs are dead) afterwards, wouldn’t it be nice to be driven home in style like a rock star? Using the app is easy. I had it downloaded to an iPhone (hubby’s) & also to my iPod Touch. Note that it’s always best to use it on the iPhone because it works better on that particular Apple platform. First you type in a date & time, plus the address that you want to be picked-up & dropped off at. Then you simply wait for the Opoli App to search for available drivers. Once you get the list, you can read their bio & car description. If you don’t like the price that is listed, you can counter & negotiate. You have the power to make reservations, select your driver, the price & the best part – the car! They have limos, Teslas, town cars, SUVs, etc. What does the driver get out of it? The freedom to collect the whole fare & not pay a commission. I chose a town car for my experience. The driver was polite & had texted me 15 minutes ahead of time, letting me know that he was outside my home & parked at the curb. Since I was finishing up a blog post, I told him that I would be step outside at the prearranged time. When I was ready, I walked to the town car & he opened my door & offered me a bottled water for the ride into West Hollywood. It was so nice to be able to relax during the drive, check out Twitter & answer work emails during the 45-minute to an hour one-way commute. I had already made reservations for a return trip to my home with the same driver. Thank goodness I did because I was dead-tired after that awesome workout! Let me just say that having someone drive you home after an intense workout was great. 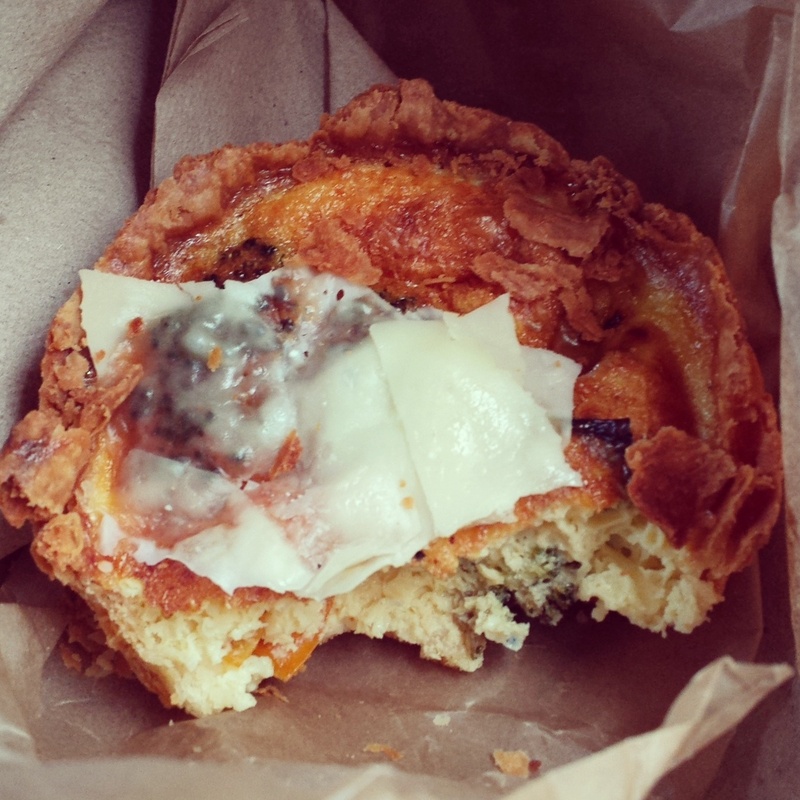 I nibbled on this yummy cheese broccoli quiche while my driver dealt with the LA traffic. Yay! Getting driven somewhere is fun times, let me tell you! Doesn’t this sound like a great thing to try for your big night on the town – date night, movie premiere, prom, wedding, etc? Well guess what, you are in luck! I am giving away promo codes to 20 of my followers who are first time riders. These have a $50 value & expires on December 31st, so you have time folks to take advantage of this sweet ride! To enter, please check out my Facebook page for details! Disclosure: No monetary compensation was received for this post. I received promo codes for a giveaway & was provided credit for transportation to use at my leisure. All images are mine unless otherwise noted. My opinions (as always) are 100% my own. Opoli is providing $50 promo codes for readers who will be selected via the Real Mom of SFV Facebook contest. Winners will be contacted by me via email. Giveaway ends July 31, 2014 at 12 noon PST. Please note this giveaway is open only to residents of Los Angeles County. Like many Americans, during the 4th of July weekend, I headed to the beach. On that Sunday, I took my daughter to our favorite beach in Santa Monica to escape the San Fernando Valley heat. We had a lot of fun & although my husband had to work, I know that he will definitely be able to attend our next beach outing. When we do go on our next trip, we will be bringing this fun beach kit with us! 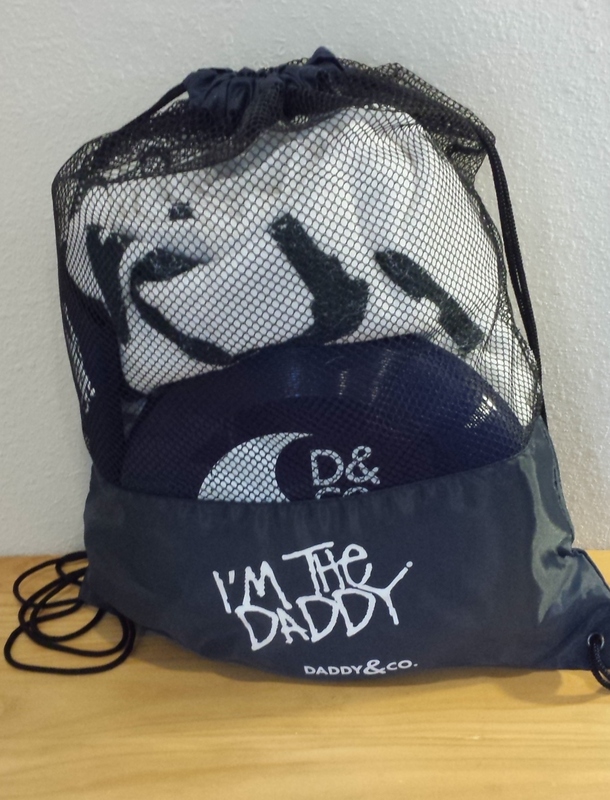 The Daddy & Co.™ Beach Kit is perfect for any family who loves to be outdoors. It’s great for your next boating excursion, trip to the lake or even hanging out at the local park. 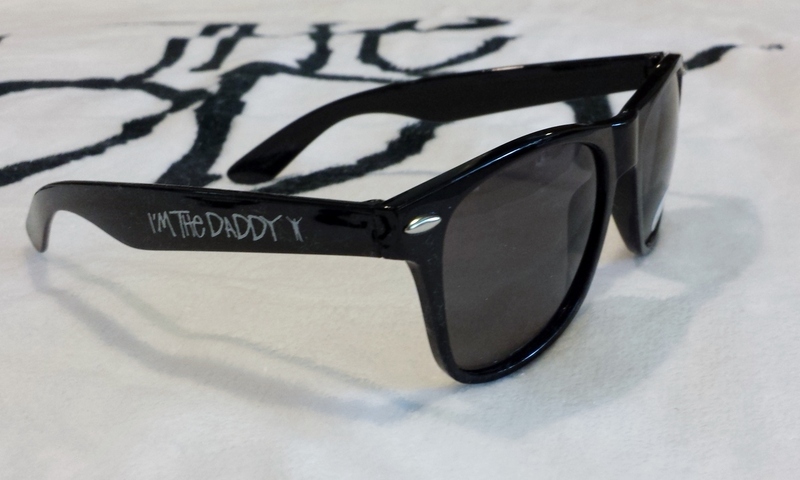 Look stylish & protect your eyes from the UV rays with these cool Daddy & Co.™ sunglasses! Tell me: After you check out the website, what item would you buy for the new daddy (husband, relative or friend) in your life? Disclosure: No monetary compensation was received for this post. 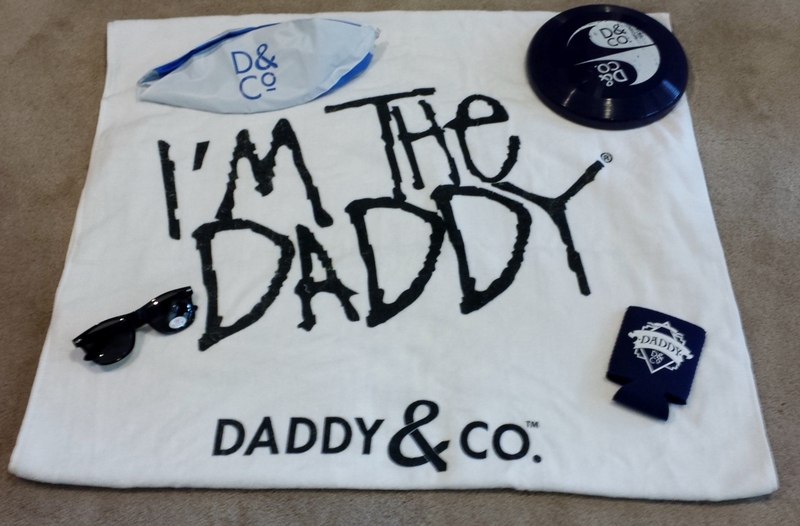 I received a complimentary sample of the Daddy & Co.™ Beach Kit which helped facilitate this review. All images & opinions are 100% my own. 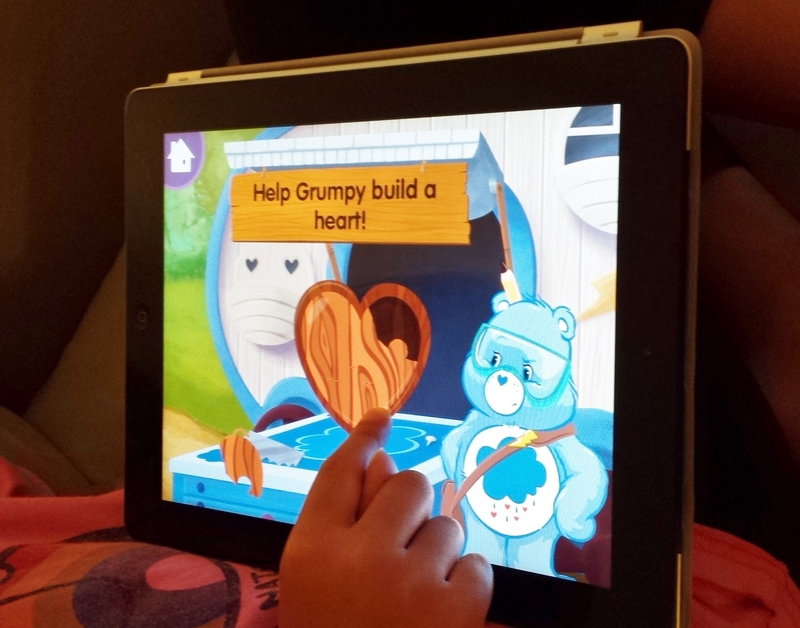 Enter the new Care Bears Love to Learn app which is the first early learning app developed by the creators of the iconic classic children’s brand The Care Bears. 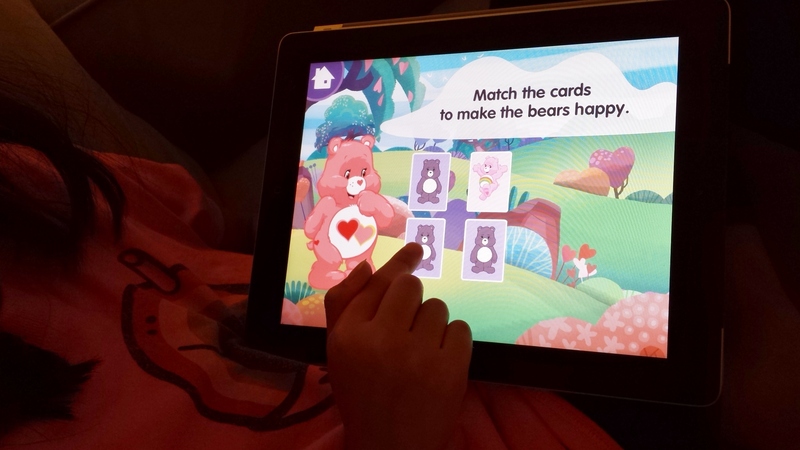 With this app your kids will delight in playing along with their favorite Care Bears in a series of fun & educational mini games & puzzles designed to help children learn to count, identify colors, shapes, and letters while sharpening cognitive and motor skills. NOTE: This app is targeted for ages 5 & under. 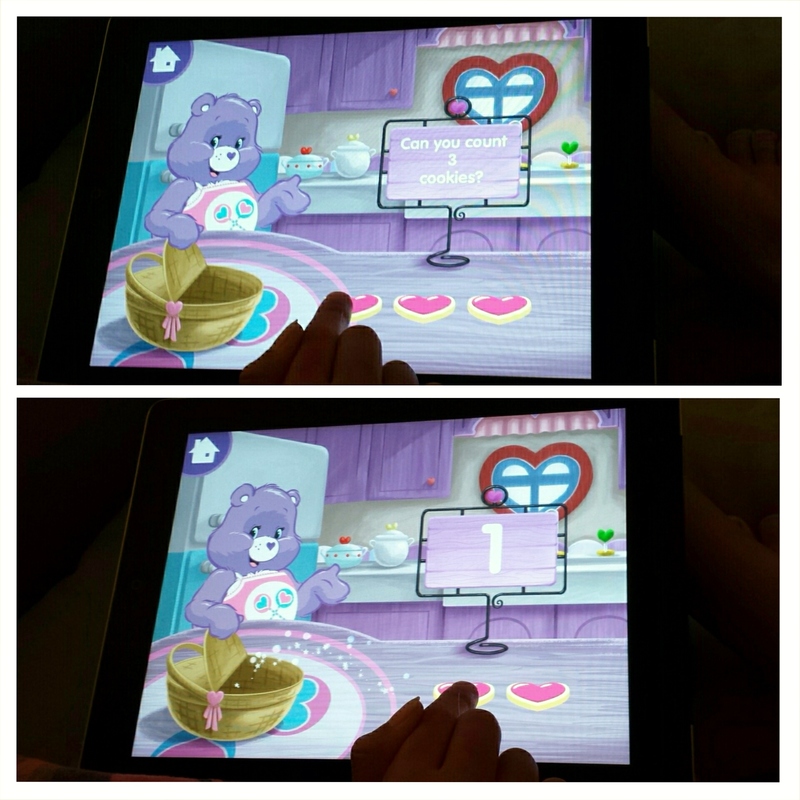 Here’s what it looks like to count cookies with Share Bear! My daughter is building a heart with Grumpy Bear. Match the cards with Love-A-Lot Bear! Here’s my kiddo learning the letter “H” with Tender Heart Bear. While my daughter is a little older than the target demographic for this app, she still had fun playing with it since she loves the Care Bears. Also it will be a fun game for her to teach her little cousins (ages 2 & 3) during the next family get-together! 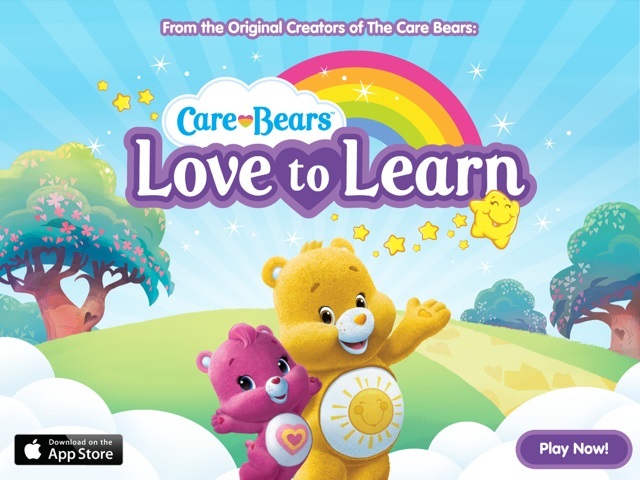 The Care Bears Love to Learn app is FREE on iTunes for the iPad only (at this time). Check it out! Disclosure: No monetary compensation was received for this post. I downloaded the app for free which helped facilitate this review. All images & opinions are 100% my own. Currently I work three part-time jobs. My “day job” is with an online babysitting resource that connects parents with nannies & babysitters. I am the Editor/Founder of Real Mom of SFV. I also freelance write for various online publications. These jobs, along with volunteering at my daughter’s school, keep me very busy. It wasn’t that long ago that I was working in the corporate world. I’ve held marketing & product development positions at various toy & entertainment companies in the LA area. At some point, I got burnt out & transitioned to a job in the aerospace industry. Talk about culture shock. After I had my daughter, I took some time off. Then when daughter was just about to turn 4 years old, I went back into the corporate world & took a marketing job in the healthcare insurance industry. It was probably the most conservative company in all of the places I worked at. Looking back on that time, I’m really grateful to have worked at that company. I learned a lot & proved to myself that after being out of the working world for 4 years, my “mommy brain” was able to keep up with many of the younger women in that department. I’m still friends with some of my former co-workers to this day! The part-time job that I had just before my current one was very interesting. I was a virtual assistant for an agency that had many clients. At the end of my time as a VA, I started to realize that it was a soul-sucking job (for reasons I won’t get into, obvs). However, if it wasn’t for that job, I would not have developed the skills & learned the software programs that have made me the blogger that I am. I would have NEVER learned about MailChimp, WordPress, InfusionSoft or Hootsuite on my own. So for that, I am forever grateful that I went through that year as a VA.
Why am I communicating all of this in a blog post? To illustrate that finally, at the age of 40, I have landed the job(s) that I really, really want to do ALL day! This is a screenshot of my very first post that I did back on June 25, 2013. I have to give a shout-out to some folks who encouraged me in the very beginning to start blogging. Both Linda Williams & Rhea of Rhea, Et Cetera are friends from a previous job who gave me advice & encouragement when I was just kicking around the idea of blogging. I had met Sarah of Moms LA at The Grove last year when I won a contest that her blog was sponsoring. I had reached out to her for some advice (over social media no less) & she was nice enough to answer me back. Dontcha love Twitter?! Jeana from Surf & Sunshine is my “boss lady” who sends me out to cool places in LA to cover entertainment for her blog. 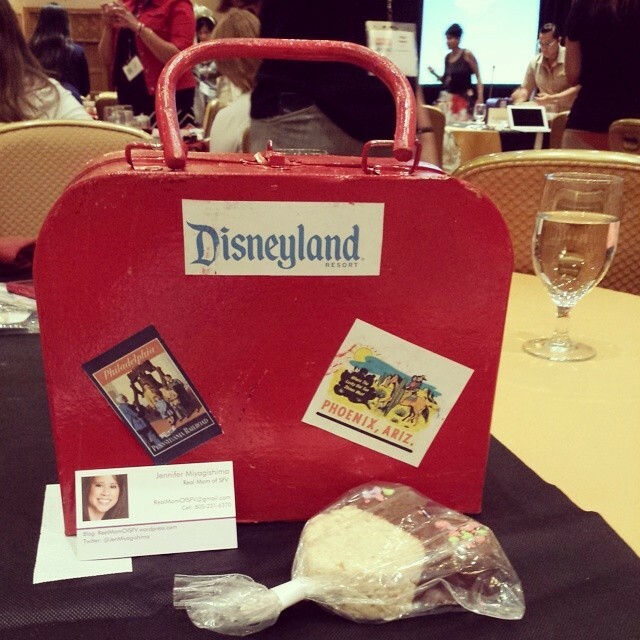 My first blogging job for her was to cover a TV show filmed at Warner Bros. studios. She took a chance on me & has kept me on staff for some time now. I’m going to wrap this post up because it’s starting to sound like a rambling Golden Globes speech. However I’ve saved the best “thank you” for last & that is my family! My husband is supportive of this endeavor, my daughter “puts up” with my never-ending quest to balance social media & answering work emails on my phone while being trying to be present with her and lastly, my parents. They instilled a work ethic in me that has taught me to never give up & that it’s never too late to reinvent yourself. 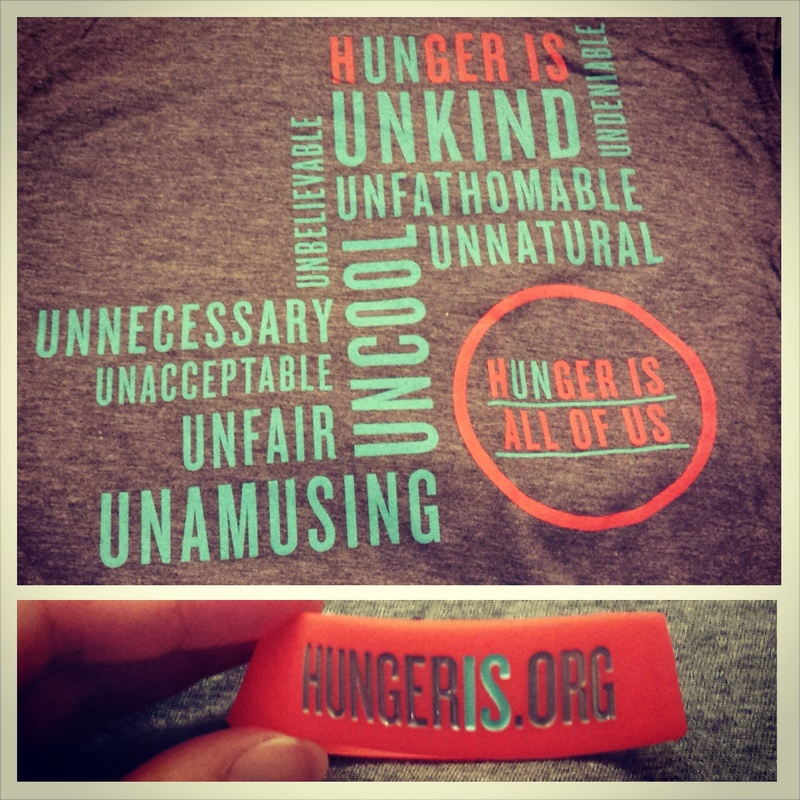 On June 10th, I attended a media event to learn more about the Hunger Is Organization. According to their mission statement, the goal is to eradicate childhood hunger in America & to improve health-related outcomes for hungry children & their families. Two foundations, the Safeway Foundation & the Entertainment Industry Foundation (EIF) have partnered together to do just that. 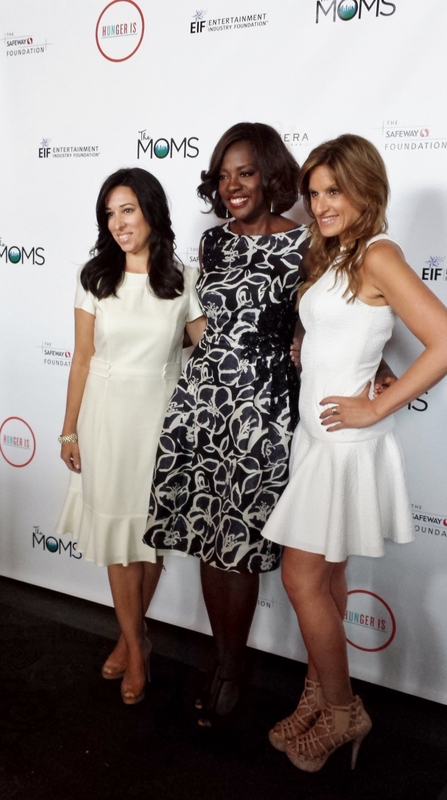 Denise Albert & Melissa Musen Gerstein of The Moms hosted the event, along with special guest Viola Davis. I am a big, big fan of Viola Davis! I loved her in Doubt, her guest roles on Law & Order, State of Play & as Julia Robert’s BFF in Eat Pray Love. She also happens to be a San Fernando Valley resident & a mom of a young daughter – so I feel like I can relate to her & she is a “friend in my head” as Wendy Williams would say. Like the title of my blog post indicates, Viola Davis knows from personal experience what it is like to be hungry as a child. She grew up in abject poverty as a child in Rhode Island. Not having food & living in a condemned building shaped her experience, helped her become the strong person that she is right now & made her want to be an ambassador for this campaign. Viola also shared with us that due to being hungry & having no energy during school hours, that she fell asleep during tests, even the SATs. Here is a short clip of Viola talking about hunger in America from a child’s perspective. We all know that this is a solvable problem. If you invest in kids, you are investing in their potential & thereby investing in the future of America. We can make a difference for the 17 million kids who don’t know where their next meal is coming from. If you have the means to invest, then do something. At lunchtime today, I attended a tasting event at a local SFV eatery. 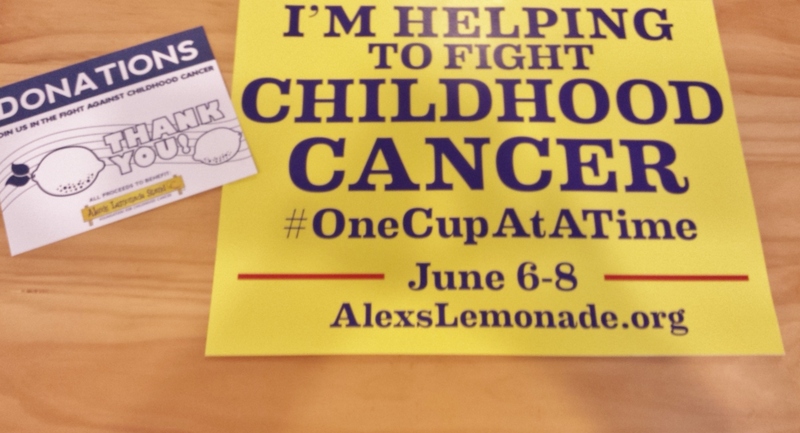 Members of the blogging community attended, as well as some media & community organizers. One of the attendees had to eat & run to another event. Having only taken half-bites of each entrée, he decided to leave the rest of the food on the table. (NOTE: I’m not passing judgment or “shade” if you will, as this is somewhat common at food events. I’m merely making an observation.) The PR rep for the event remarked, we should take the food & give it to someone who is homeless in the area. It was during the drive home that I thought, how fortunate am I to be in the position to take half of my entrees home in a take-away container AND how blessed are we as a society that we can eat just half our meal & walk away from it, without worry. One of Viola’s favorite quotes is “You do what is at your hand to do” – so even if it’s not a monetary donation, if you can donate cans of food or volunteer at a food bank – these are all great ways of helping. Viola talked about a teacher’s generosity that helped her during a time of need. Here’s a small clip: http://instagram.com/p/pEutH-CFBR/?modal=true. I’m sure most of those reading my blog post can offer up some small way to help this organization. 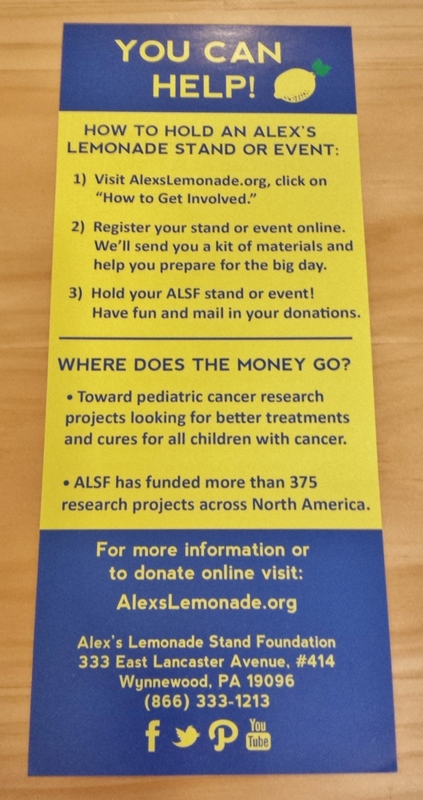 Check out their website & see what you can do! 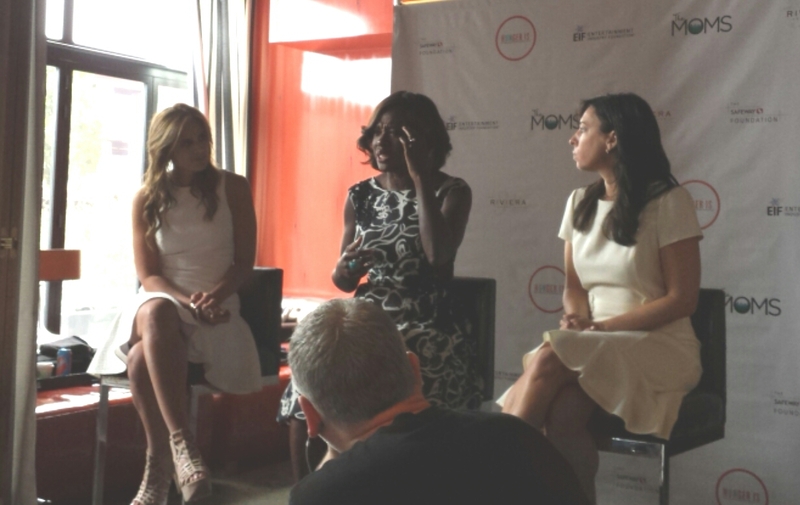 On a personal note, during the Q&A portion of the media event, I had the opportunity to ask Viola a question on motherhood. Real Mom of SFV: You’re a mother of a daughter, just like I am & there is a quote in The Help (that I’ll paraphrase) which I tell my daughter all of the time, which is “You are kind, you are smart & you are important.” So I was wondering if there is any advice that you give to your daughter that you are willing to share. Viola: There is something that I am telling my daughter lately because she is into the whole Elsa & Anna thing (Disney’s Frozen). So I say to her “What about Princess Tiana?” She’s like “I like Princess Tiana, but I like Elsa. She has long blond hair”….and so I always tell her, “Genesis, what did Mommy tell you? What is the most beautiful part of you?” And my daughter replies “My heart.” So that is what I tell her…that her value has NOTHING to do with what she looks like, absolutely nothing, at the end of the day. If you’d like to get involved with your heart, much like Viola does for this organization, check out the Hunger Is website & also follow them on social media. Thanks to The Moms, the Safeway Foundation & the Entertainment Industry Foundation (EIF) for putting on a great, informative #HungerIsMamarazzi event! Disclosure: I was invited to attend a media event. I did not receive monetary compensation for this post. All photos, videos, thoughts & opinions are 100% mine. The following post is sponsored by One2One Network and ScholarShare. All opinions are 100% my own. My daughter is in elementary school & while saving for her college education is a priority, my husband & I just haven’t had the time to research our options. Many of my mom friends are in the same boat, we know we should do it but the process seems overwhelming. Where do we start? How much do we put away? What if my kid ends up not going to college? These are all questions that many people have. Well folks, I found a college savings plan that is fairly simple to enroll in & can be opened with as little as $25! ScholarShare is California’s 529 college savings plan. Just as a 401(k) plan is to retirement savings, a 529 college savings plan is for college savings. Anyone can open an account as a gift for a child or loved one. You can open an account while you are pregnant & simply change the beneficiary’s name after the baby is born. Funds can be used at eligible schools nationwide at both private and public universities. Withdrawals are federal & CA income tax-free when used for qualified higher education expenses. Having a ScholarShare 529 does not affect scholarship or grant consideration. If your child decides not to go to college, you can change the beneficiary’s name to another child in your family – niece, nephew, grandchild, etc. If your child is like my daughter, there are always a handful of relatives who give cash during holidays & birthdays. Wouldn’t it be nice to have them make a contribution through ScholarShare’s eGifting option to an existing account instead? 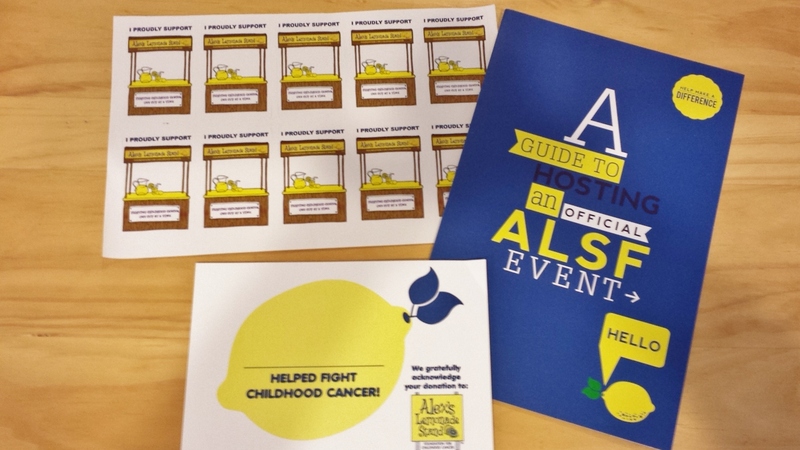 You can even print out a gift certificate so that the child has something to open along with their birthday card. Another alternative is you can take the accumulated holiday/birthday money that your child receives, deposit half in their ScholarShare 529 account & then let the child spend the other half on games, toys & reading books. That’s a win-win in my book! The reality is that so many students finish college with a huge college debt to pay back. Even if you can only save a little bit through a ScholarShare 529 plan, that is still a great start in the right direction! For more information, click over to the ScholarShare website. You can also follow them on Facebook & Twitter. Disclosure: This is a sponsored post from One2One Network and ScholarShare. All opinions remain my own.